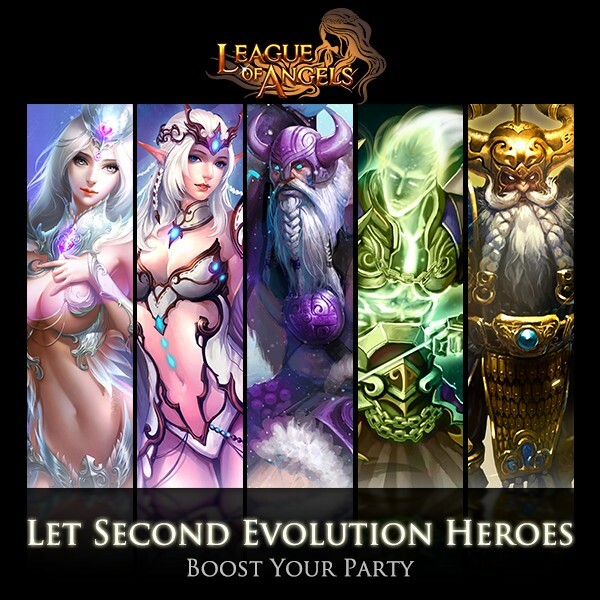 Five second evolution heroes finally appear in Tavern in League of Angels! Among Heaven Hunter, Supreme Oracle, Sand Lord, Moonlight Warlord, and Fame Hunter, which one is your favorite? Have you witnessed how powerful they are in battles? To be tougher in the world of wars and chaos, you need to make yourself and your party strong enough. It’s time to recruit second evolution heroes now! Let’s know better about these rare and powerful heroes. 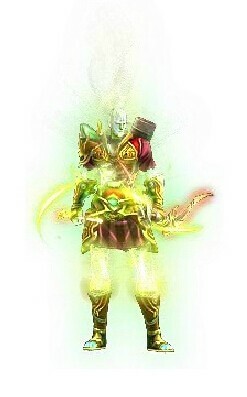 Heaven Hunter is Second Evolution of Divine Hunter who is evolved from Astral Hunter. This hero doesn’t require any rage which makes him the best choice to gain your back row heroes some rage depending on your upgrade level on this hero. He can also increase up to 20% Max HP of all party member along with increasing DEF and ATK for your back row. This hero is mostly used in front row as he doesn´t require rage he can boost your party member's rage in back row each turn. Since he doesn't require any rage and can add rage for heroes in the back row, he is great to fight against Spiritsoul totem which drains the rage making you unable to cast. Putting this hero at back row would better when the opponent or enemy would silence Heaven Hunter which would make him unable to cast again and make him useless to you in battle or when you wish Heaven Hunter to gain more boost. It is not wise to line him with any rage totem as he is 0 rage cast hero and he doesn't require that rage from Dragon Lord Totem or Spiritsoul totem etc. Gems on this hero are dependable on your party build. If he is your main supporter and you don´t want him to die very soon, then HP+END > HP + PDEF/MDEF or END>HP>BLOCK>PDEF/MDEF. This hero mainly requires respawn armor so he will cast his skill as much as possible and high upgrade level on his skill so his effect will be stronger in battle. Supreme Oracle is Second Evolution of Messenger of Darkness who is evolved from Light Envoy. This hero consume 75 rage to cast and she increases 4 stats (max HP, ATK, DEF and Agility) by 15, 5% at level 1 of the sum of corresponding target and caster stats lasts 2 turns. This buff of ATK, DEF, Agility boost will last only 2 turns, but buff which increases max HP will last until the fight is over. Supreme Oracle is immune to Chaos and Stun with 25% chance to resist Silence. This mage hero is perfectly suited for group support. Recruiting her for boosting your party will never be bad decision. This hero is typical group support hero who excels at supporting her team members. Supreme Oracle can be placed both front and back row depending on your strategy. Since she is immune to Chaos and Stun and her chance to resist Silence increases as you level up her skill, she can be placed in front row if the opponent or enemy uses back row skills to annihilate your back row. Supreme Oracle needs to gain 75 rage as soon as possible in fight so she can boost your party up with her skill. Best option is to line her with some rage feeding totem or build IRB(Infinite Rage Build). If your other Hero who is part of IRB dead then having Supreme Oracle lined up with rage feeding totem will still make her cast every turn in case your fight will be too long. To make sure your Supreme Oracle survives long enough in battle to support your team use these END gems and build on her END as much as possible. Remember that your Supreme Oracle has to be fastest in team. That means high AGI is needed on this hero. Reason is simple Supreme Oracle has to cast as 1st hero providing her skill buff to other party members making them more stronger. When your striker takes over Supreme's Oracles buff will be applies and your striker will receive the max HP, ATK, DEF and AGI boost from her. To gain high AGI use these gems: AGI> AGI+HIT>AGI+CRIT. However Supreme Oracle has to stay alive as long as possible for that type of fight you need these gems: END>HP+END>AGI+CRIT>AGI+>HIT. It is dependable of each player's build which gems you will choose for Supreme Oracle, but your hero has to survive thus END and HP+END gems along with HP (not fused gems) and AGI, AGI+HIT> AGI+CRIT gems to make her fast in casting. Sand Lord is Second Evolution of Son of Odin who is evolved from Mountain God. This hero consumes 75 Rage to cast his skill. His position is melee tank, but he can be considered as "buffer" and "supporter" for whole team. This hero can increase up to 21% Max HP with his battle skill along with increasing 10% DEF at upgrade level 1 and his skill stacks with Light Envoy (Messenger of Darkness or Supreme Oracle). This makes them perfect combination Supreme Oracle and Sand Lord if you want to increase Max HP for whole party. Sand Lord's regular skill decreases DMG received for whole party by 28% (lasts only 2 turns) his skill also increases 8% DMG and even 5% of AGI at level 1 for whole party! If you have this hero and don´t use back up then good choice is to use him at least at start of battle to gain the "battle skill" buff which will increase your max HP. 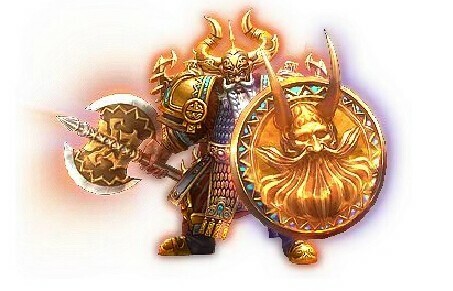 However if you wish to use this hero as normal hero at your build then you have to have some group support (for example Supreme Oracle) who will feed this hero at least once in 2 turns rage of 75 so he would cast his shield to reduce the DMG from enemy to your team, as the shield disappears after 2 turns end. Sand Lord doesn´t have any special buff to his resistance for chaos or immunity for silence or stun, so it is better choice to use this hero as back row teammate. Sand Lord doesn´t require ANY of ATK gems as he isn't DPS hero, but rather "support" hero that makes him need lots of gems with HP>END>HP+END>HP+PDEF>HP+MDEF and other DEF gems. Dependable of player's build. 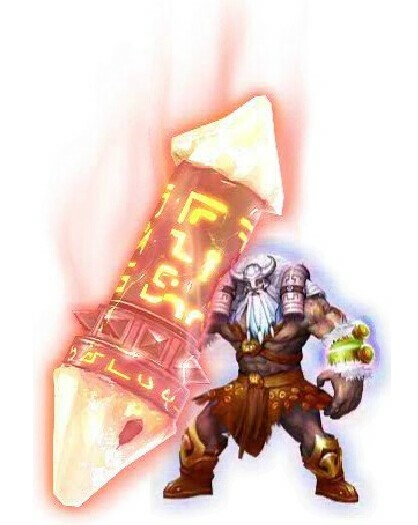 Moonlight Warlord is Second evolution of Hercules who is evolved from Earthshaker. This Hero consumes 50 Rage to cast his skill. His special skill is called "Executioner" since he can execute any hero whose HP is below certain % to death. His DPS will be increased each time his special skill (executioner) is triggered. Moonlight Warlord will use his HP shield to shield one party member whose HP is the lowest. This hero has % chance to resist all stun/chaos and immunity to be silenced. Moonlight can be used at front row in party formation as he has % chance to resist stun/chaos and immunity to be silenced, but you can also use him in back row if your opponent uses front row killing skills and reverse if enemy uses back row skills. You want your main striker to last in battle as long as possible to deal more DMG. Fame Hunter is one of the best Group Support healers we have currently in game. She requires only 50 rage to cast her skill to heal entire party with increasing their DEF as well and she has also % chance to make 2 random units immune to next attack which is great advantage in battle. At level 11 her upgrade she has 100% chance to make 2 units immune to next attack. That means the shield Fame Hunter places at 2 random heroes will make them immune for upcoming attack making them take 0 DMG. Fame Hunter is party member who is quite valued at party formations at end game. She can heal your party members increase their DEF and even make them immune to next attack, which makes her most effective if she casts her skill every turn. For every turn cast you need to have IRB or example Supreme Oracle lined up with rage totem and upgraded Supreme Oracle's skill high enough so Fame Hunter would gain 50 Rage every turn. This will make you gain the immunity shield every turn making 2 of your heroes invincible for the turn. No damage for you, but damage for opponent is great deal in PVP. Fame Hunter has to survive in battle as long as possible if you can feed her with rage every turn then the better. Gems suitable for this hero are: HP>ATK>END> HP+MATK>HP+PDEF or HP+MDEF (dependable which ATK the enemy deals more if its MATK or PATK) and HP+END. Endurance is important on Fame Hunter. Higher END the longer she lasts in party. It is dependable of your build so you can always adjust your gems for Fame Hunter if you want her to be quick in healing then swap HP+PDEF/MDEF into AGI+CRIT gems. For more information about second evolution heroes in game, please stay tuned.